Novak Djokovic blitzed past Borna Coric 6-3, 6-4 on Sunday to win the 2018 Shanghai Rolex Masters title and once again become the most successful player in the tournament's history. First-time finalist Coric put up an admirable fight for long stretches of an at-times tetchy encounter, but he was unable to build on his shock semi-final victory over Roger Federer and suffered defeat in two sets. Djokovic's fourth Shanghai Masters triumph pulls him clear of Andy Murray to again cement his spot as the tournament's most successful participant as his drive to reclaim the world No. 1 spot continues. Although the runner-up may have lost in straight sets, Coric had plenty to be proud of in his display. The 21-year-old's fortunes are sure to improve once certain errors are coached out of his game and his decisions under pressure are fine-tuned. The lines couldn't be drawn much further apart between the finalists. Coric, who had snapped a seven-tournament streak of failing to reach the quarter-finals in China, had now beaten Federer to a place in the Shanghai decider. From the opening serves, one could see Djokovic was going to be the more competitive in his return game, with Coric struggling to counter at Qizhong Forest Sports City Arena. Coric made Djokovic's next service more competitive but lost before serving at 5-3 behind. The contest went to a ninth game, but the youngster struggled to hold his nerve in the longer rallies, committing a seventh unforced error to go down 30-0 before smacking a wild backhand to lose the set. Unreal level from Djokovic today. Maybe better than Wimbledon, Cincinnati and Us Open. The second set didn't start any better for the youngster. Coric surrendered three successive points from a 30-15 lead to suffer a break in the first game and go two down under a torrent of pressure from Djokovic, a 14-time Grand Slam winner who's 10 years his senior. But that contrast in pedigree didn't matter in a terrific third game of the second set, which required 20 points to decide, including no fewer than three break-point saves from Coric. The benefits began to tell as Coric grew in confidence and the points were more competitive, particularly as he trailed 3-2 on Djokovic's serve. 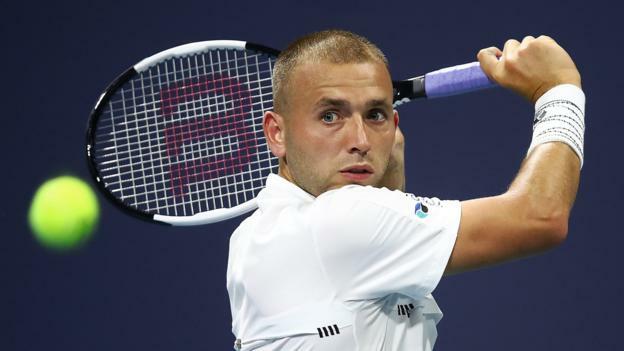 The Croat still lost the point but saw a break-point opportunity of his own for the first time in the match and was pulling parts of the Shanghai crowd in his favour. Per Sky Sports' broadcast, Coric had committed 34 unforced errors to Djokovic's 15 midway through the seventh game. The nerves were evident, but so were shades of the quality that got him to this point as he served to trail 4-3. Coric was brushed aside on Djokovic's serve but fought terrifically from 0-40 down in the next game, saving three match points with five wins in succession to again make it a one-game set. Consistency may have been lacking, but there was no questioning the 21-year-old's commitment to remaining in the hunt. The crowd was almost muted as Djokovic served his way closer to victory and Coric's hopes wilted before they were extinguished. 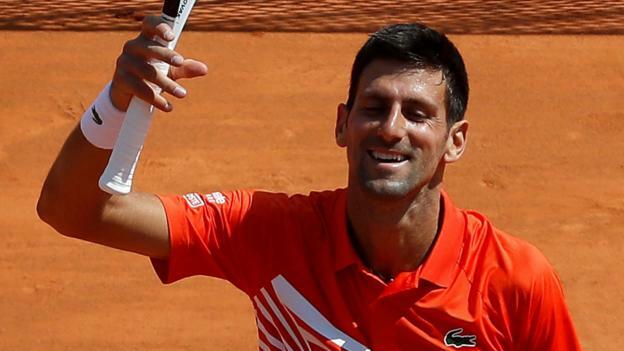 Djokovic sealed the win with an anticlimactic out call at the base line for an 18th consecutive win. The scoreline perhaps didn't properly reflect the level of Coric's performance, but at 21, he can look forward to competing on these stages a lot more in future. Meanwhile, Djokovic's effort to return to power continues apace.